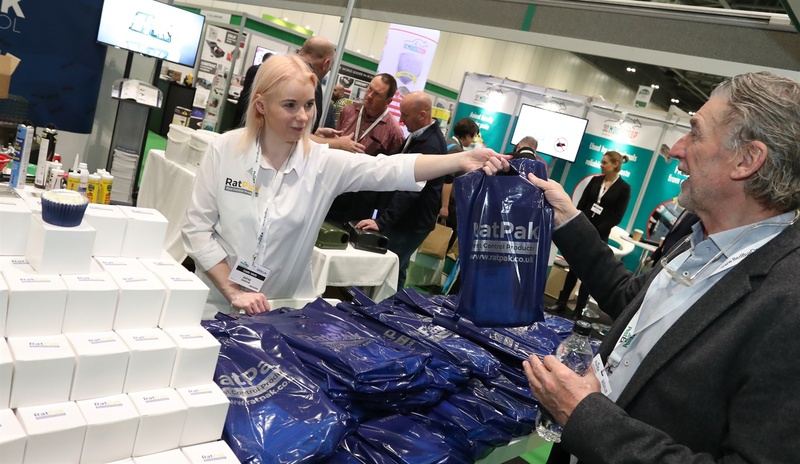 Connect with the pest control community at PestEx 2019: The pest management show. Book a stand and get your products and services in front of the professional pest management sector. Fill in the online form below or download the .doc version of the booking form here. Have a look at the floorplan to choose your prefered location. Includes walls, fascia panel, nameboard plus carpet, one data scanner and entry with logo in exhibition catalogue. NB: Power is not included in any stand booking but can be booked separately, along with furniture and additional data scanners. A non-refundable deposit of 10% of the stand price +VAT at prevailing rate will be invoiced on receipt of booking. 45% of the balance will be invoiced 3 September 2018 and the final 45% of the balance on 2 January 2019. Payment terms are 30 days from the date on the invoice. All stands must be paid for prior to the event, failure to do so will result in the loss of your right to exhibit. Cancellations must be made in writing and sent recorded delivery to the address below before 31st August 2018. Any cancellation made on or after this date will incur 100% of the stand cost. SUB-LETTING OF STANDS IS STRICTLY PROHIBITED UNDER ANY CIRCUMSTANCE. If any company wishes to share a stand with another exhibitor, the organisers must be informed immediately. This option is at the discretion of the organisers, and may be withdrawn. Full terms and conditions of exhibiting will be sent with your exhibitor’s manual prior to the event. Any company leaving BPCA Membership between booking their stand and the date of the show will be surcharged for the difference between member and non-member rates. The organisers reserve the right to adjust the floorplan and stand numbers as required. Visit the website pestex.org or write to us at BPCA, 4a Mallard Way, Pride Park, Derby, DE24 8GX.